*The "Certificate of Completion" will be distributed to all participants at the event date. The evolution of smart cities would prompt the need for smart property development and management, giving a boost direct by PropTech (property technology). Smart cities are highly data-driven, as extensive data collection, big data analysis to IoT deployment. 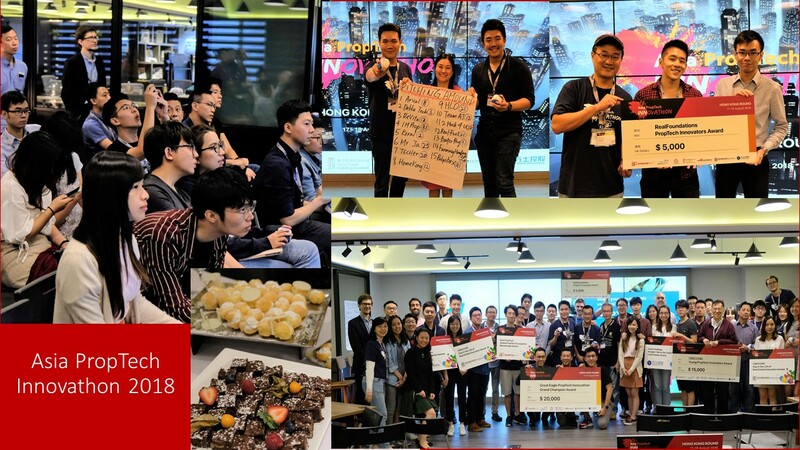 Asia PropTech Pre-Innovathon Workshop 2019 is all about team building, creative idea or generate plans, analysis, or design that supports to share your new way to re-define the problems close to your daily living. 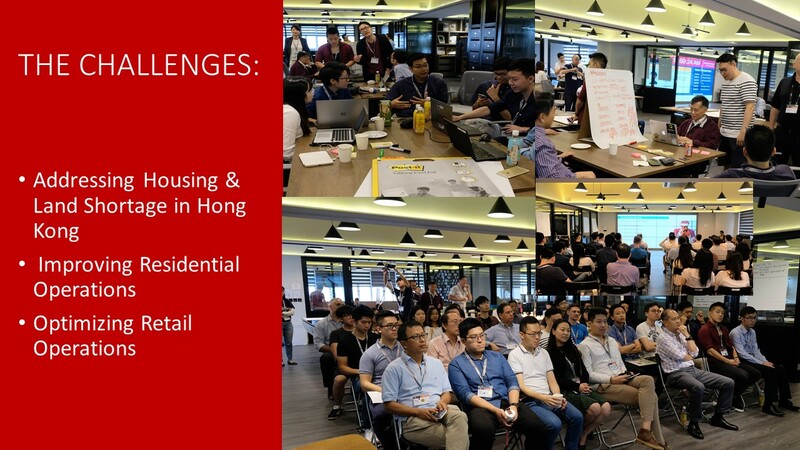 Come to join us for the workshop in laying out the groundwork to re-define the problems for building the smart cities for future and prepare our upcoming Asia PropTech Innovathon 2019 a bit more awesome. The "Certificate of Completion" will be distributed to all participants at the event date. Exchange ideas and group debates the application of technologies, skills, etc. 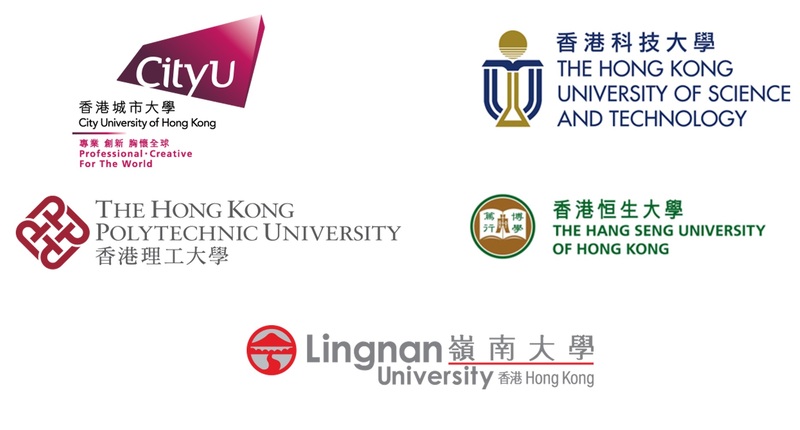 We are proud to have Cyberport Hong Kong as our venue sponsor for this event. 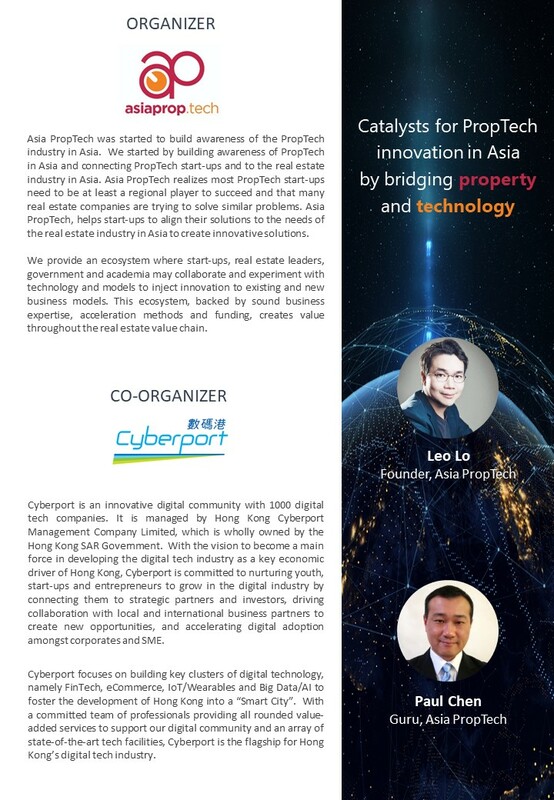 Cyberport focuses on building key clusters of digital technology, namely FinTech, eCommerce, IoT/Wearables and Big Data/AI to foster the development of Hong Kong into a “Smart City”. 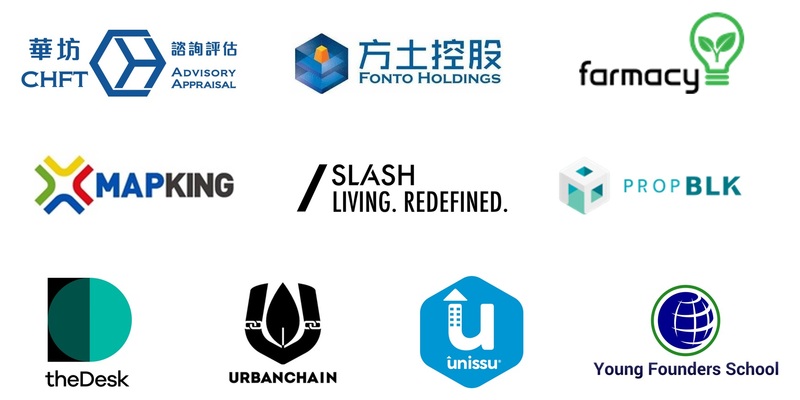 With a committed team of professionals providing all rounded value-added services to support our digital community and an array of state-of-the-art tech facilities, Cyberport is the flagship for Hong Kong’s digital tech industry. 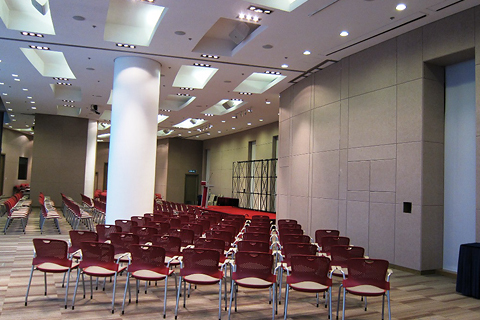 The ticket price is inclusive of entry to the workshops, and networking sessions. No further fee required. 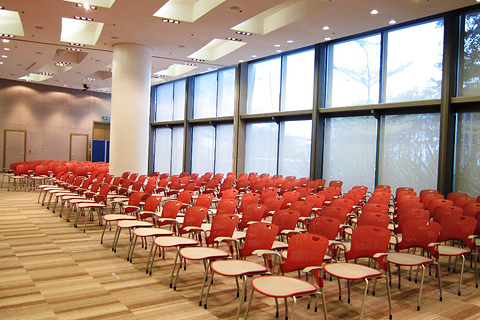 Seats are limited and available on a first-come, first-served basis. Further to be confirmed soon. Learn how to make Hong Kong Egg Tart!